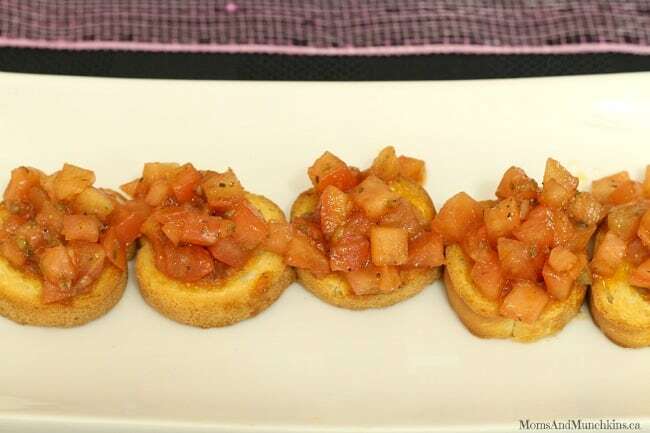 The holiday season has come to an end and I’m already thinking of ideas for Valentine’s Day! 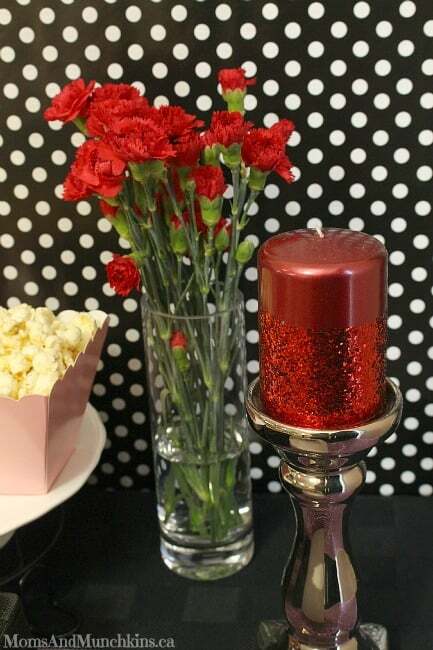 This Romantic Comedy Movie Party is a fun idea for birthdays, Valentine’s Day or ladies night. 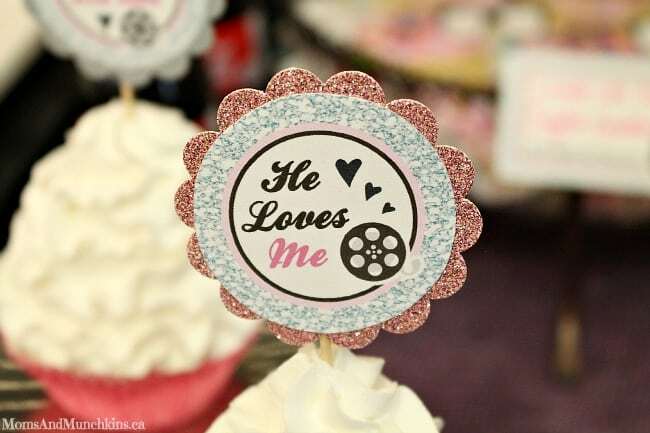 I love romantic comedy movies so the idea of having a movie marathon loaded with delicious treats sounds totally perfect for me! I’m thrilled to have this party featured in Calgary’s Child Magazine. You can read the full article in the magazine but I’ll share all the photos with you here along with a party summary. 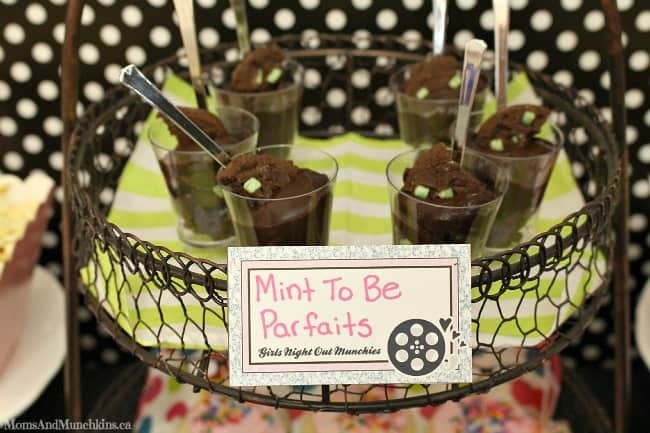 The fabulous party printables were designed by Leila of A Little Pixel. 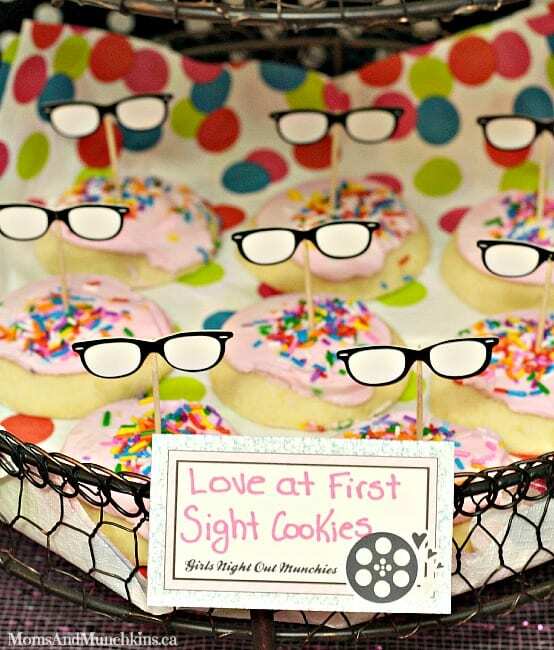 Love At First Sight Cookies – love these glasses picks from Michaels! 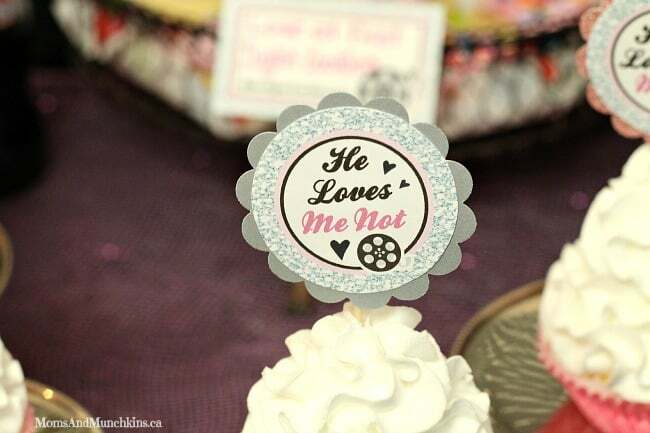 He Loves Me and He Loves Me Not cupcake toppers. Flowers from a secret admirer – these could be cupcakes topped with icing flowers too for an edible version! 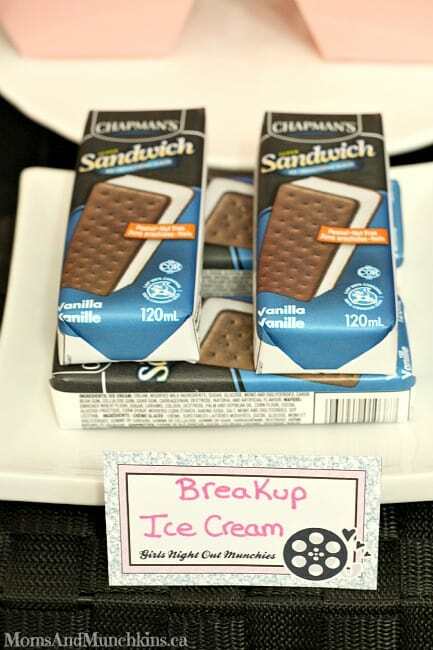 Every girl needs ice cream to get through a bad breakup, right? 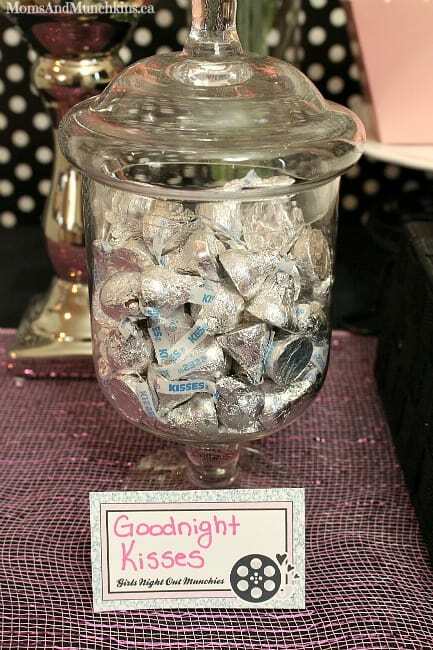 A goodnight kiss or a first kiss. 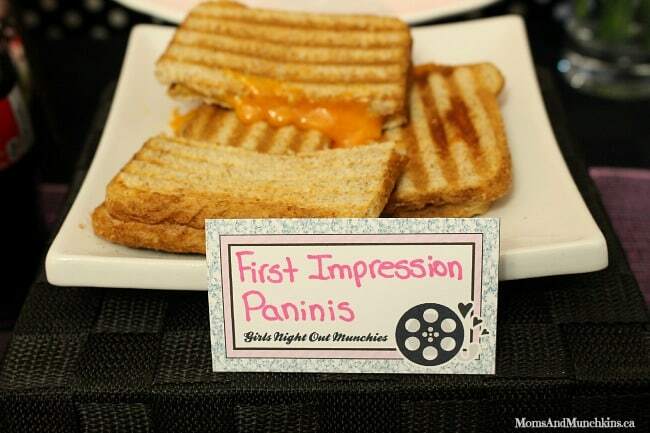 Everyone wants to make a good first impression, right? Some people are just meant to be! 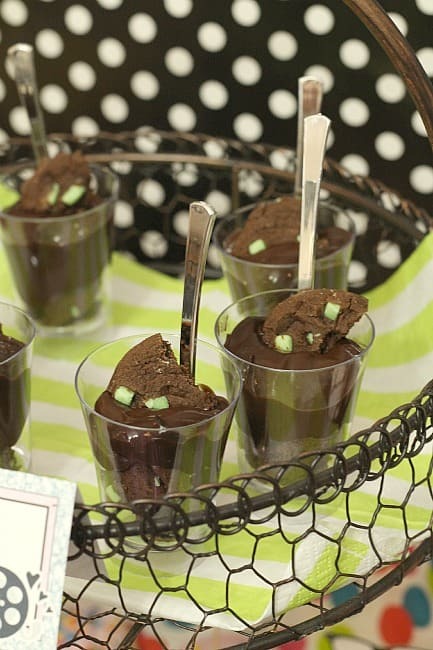 I turned this into one of my favorite flavor combinations – chocolate and mint! 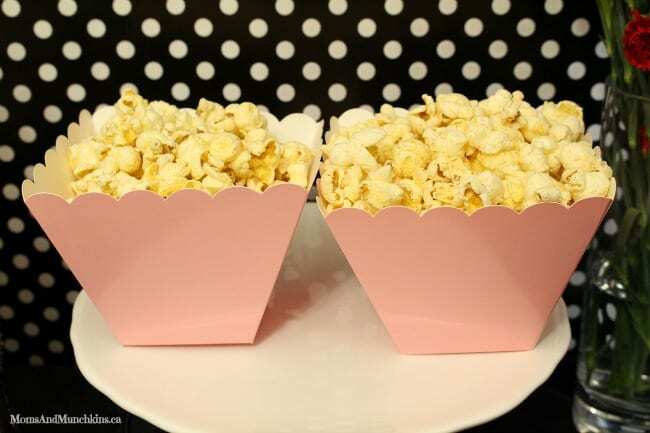 A movie marathon wouldn’t be complete without popcorn, butter and a variety of salts. 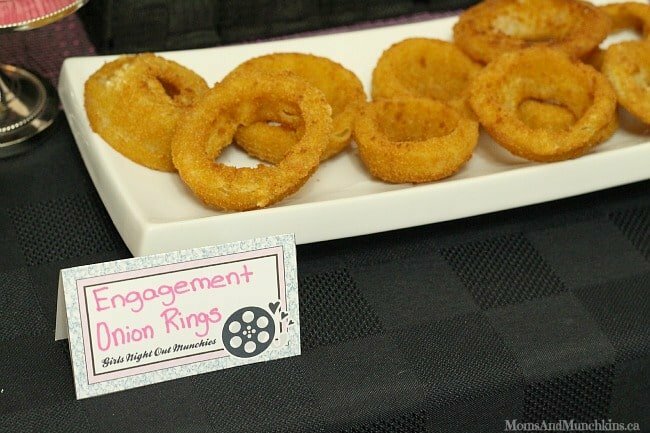 Engagement rings as onion rings. Didn’t Homer Simpson propose to Marge with an onion ring? My brother is a huge Simpson’s fan so I’ll have to ask him. 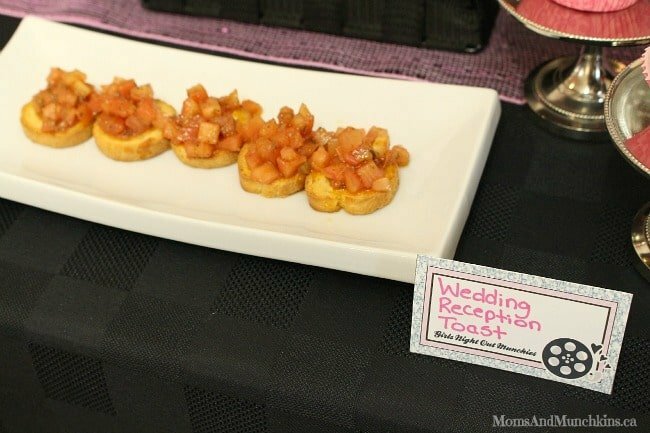 Wedding toasts – sometimes sweet but sometimes disastrous – always entertaining in the movies! 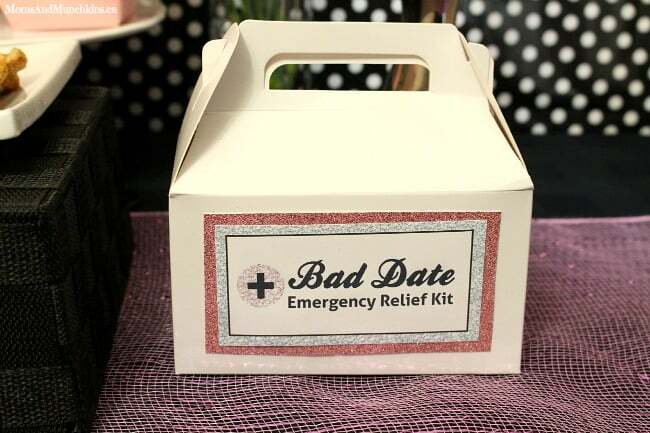 Every girl needs an emergency kit for bad dates. What would you put in yours? I’d load mine with chocolate! Don’t forget to head over to the magazine for the full printed version to see all of the creative ideas! 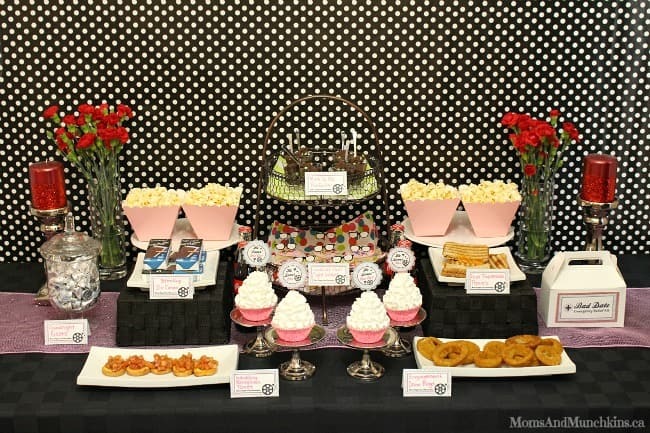 For more party ideas, visit our Birthday Parties page. 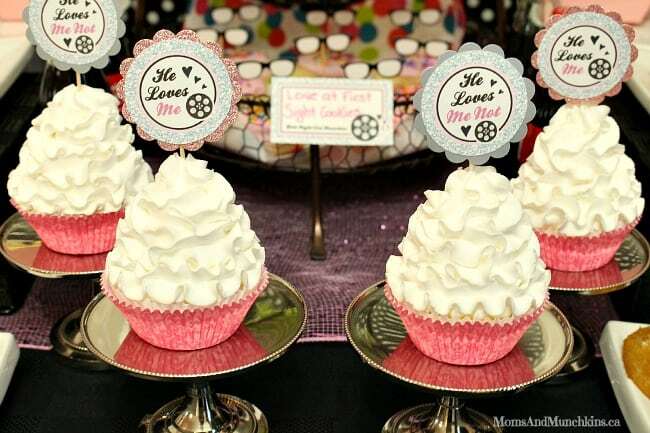 For more Valentine’s Day ideas, visit our page dedicated to all things sweet! Thank you so much, Meghan! Thank you so much! It’s one of my favorite themes. Happy New Year Cheryl! 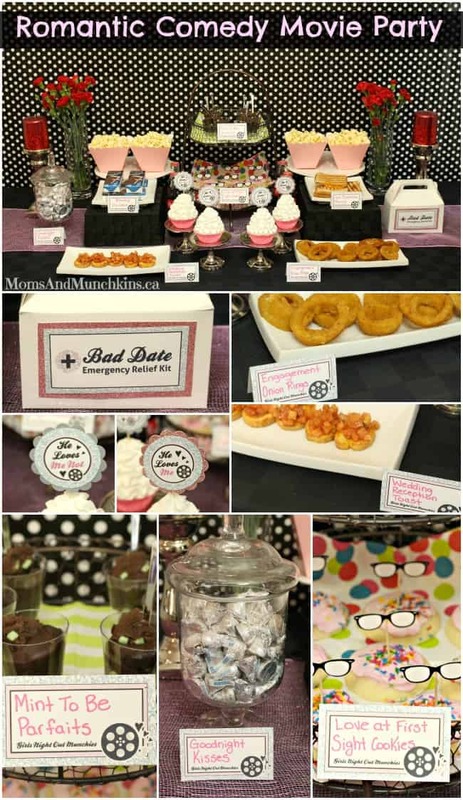 Love this idea and have actually had a couple parties with this theme, but never with the awesome treats ideas. Thanks for sharing with us at Brag About It. Pinning to share!